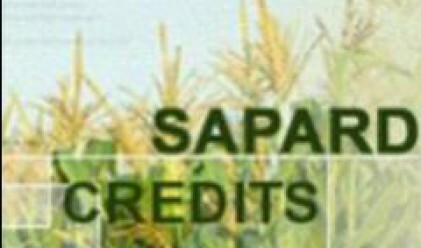 The parliamentary Agriculture and Forestry Committee voted Thursday a decision for the Executive Director of Agriculture State Fund Dimiter Tadarukov to provide the MPs with a list of all beneficiaries and their consultants under SAPARD pre-accession program, BTA is reporting. Tadarukov also provided concrete cases of beneficiaries with overlapping areas registered by the system and declared that all of them have been sanctioned. He recalled that the sanction provides for doubling the overlapping areas and their subtraction from the total sum paid under the scheme of payment per unit of area. Plamen Mollov MP of the Simeon II National Movement said that he had submitted Thursday a bill on the publicity of the entire information under SAPARD. Agriculture Minister Nihat Kabil said before the committee that the total sum of sanctions for avoidance of statement and other attempts at fraud and delayed submission of statements for farmers for the 2007 campaign amounted to more that 37 million leva. In addition, reduction of funds have been imposed for not maintaining land in good agricultural and environmental condition to the amount of 1,920,000 leva. These are funds we have saved the European taxpayer, the Bulgarian one included, the Agriculture Minister underscored. In a separate development, Bulgaria's European Affairs Minister Gergana Gruncharova said in Brussels on Thursday that she and Finance Minister Plamen Oresharski are meeting on Friday the Director-General of the European Anti-Fraud Office (OLAF), Franz-Hermann Bruner, to talk about the recent suspension of SAPARD payments.